Good Morning and welcome to the 3DB. This week I want to talk about a man whose name is familiar to all of us in aviation – Burt Rutan. I am certain that most of you are familiar with his long list of accomplishments so my purpose here today is to showcase the highlights of his career and then take you to the point where he, his company, and his partners have taken commercial space travel. This article is a reprint from 2014 but after doing a little research on another article I ran across a different article on Burt Rutan and decided to revisit that list of accomplishments. 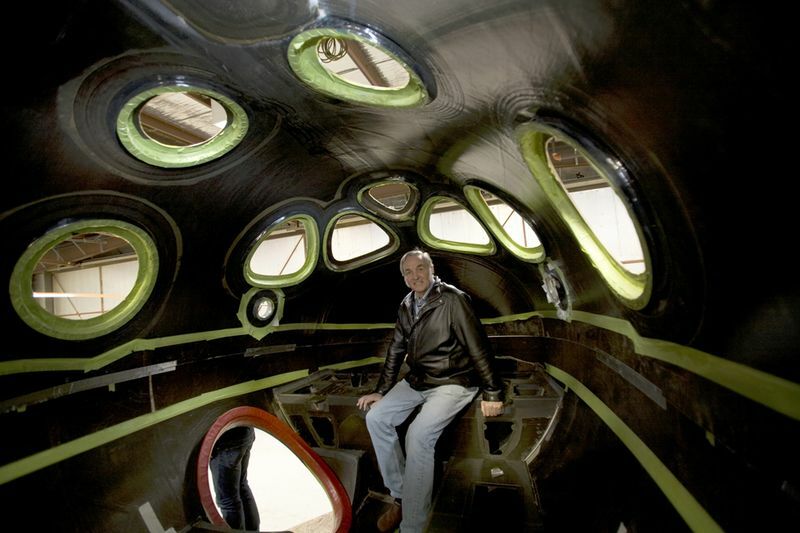 Click HERE for photos of Burt Rutan’s innovative designs. The Man Who Kept Simplicity as a Cornerstone of His Philosophy to Challenge The Establishment and Conquer Space. Burt Rutan was born in 1943. He received his Bachelor of Science degree in Aeronautical Engineering at California Polytechnic University in 1965. His education includes the Space Technology Institute at Cal Tech and the Aerospace Research Pilot’s School at Edwards Air Force Base. Rutan holds, in addition, the honorary degree of Doctor of Science from California Polytechnic State University, San Luis Obispo, June 1987; Doctoral of Science, honoris causa, from Daniel Webster College, May 1987; Doctoral of Humanities, honoris causa, from Lewis University, May 1988 and Doctorate of Technology, honoris causa, from Delft University of Technology, January 1990. Rutan worked for the U.S. Air Force from 1965 until 1972 as Flight Test Project Engineer at Edwards Air Force Base, California. His projects ranged from fighter spin tests to the XC-142 VSTOL transport. 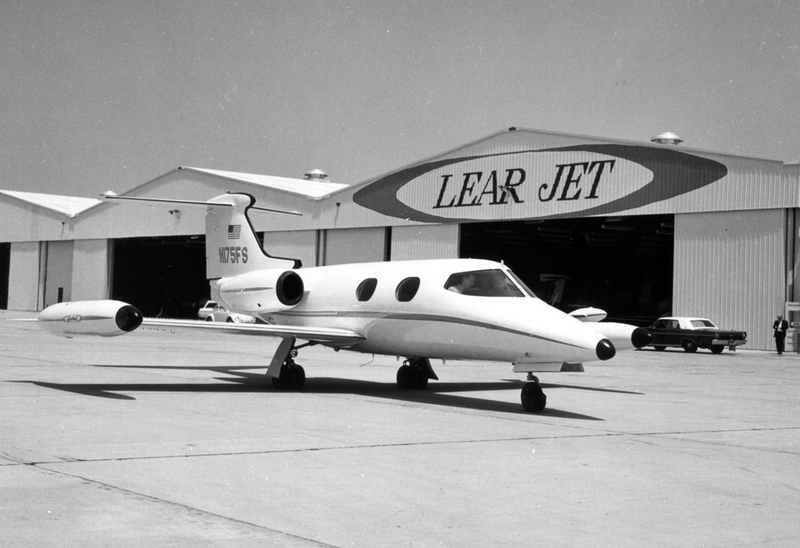 In March 1972, Rutan became director of the Bede Test Center for Bede Aircraft in Newton, Kansas. In June of 1974, at Mojave, California, Rutan formed the Rutan Aircraft Factory (RAF) to develop light homebuilt aircraft. 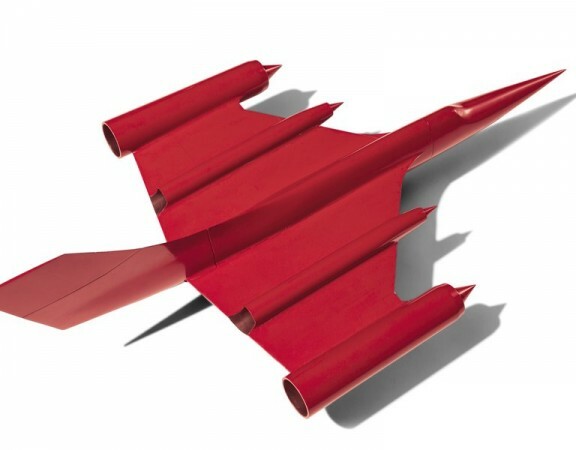 Through this company, the VariViggen, VariEze, NASA AD-1, Quickie, Defiant, Long-EZ, Grizzly, scaled NGT trainer, Solitaire, Catbird, and the world-flight Voyager aircraft were developed. 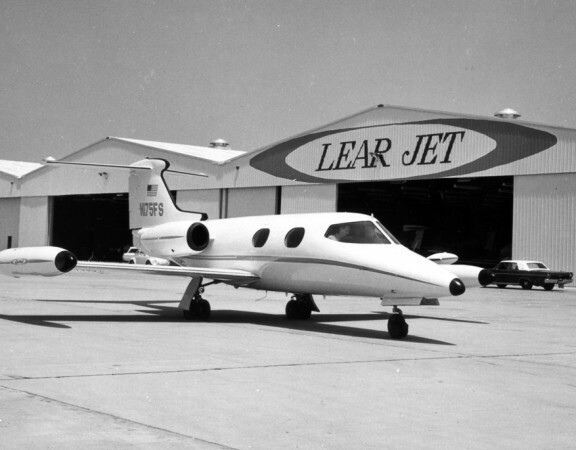 In April 1982, Rutan founded Scaled Composites (Scaled) to develop research aircraft. Since its founding, Scaled has been the world’s most productive aerospace prototype development company, developing new aircraft types at a rate of one each year. 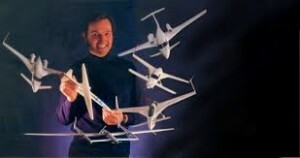 Past projects include the 85% scale Starship 1 for Beech Aircraft Corporation, the Predator agricultural aircraft for ATAC, the Scarab Model 324 reconnaissance drone for Teledyne Ryan Aeronautical, the Advanced Technology Tactical Transport (ATTT) for DARPA, the 1988 America’s Cup wing sail, the Triumph light executive jet for Beechcraft, the ARES close air support attack turbofan, the Pond Racer, the Pegasus Space launch vehicle flying surfaces, the Model 191 general aviation single for Toyota, a 40% scale B-2 bomber RCS model, General Motor’s 1992 show car (the GM Ultralite), the Bell Eagle Eye prototype tilt rotor RPV, the Earthwinds pressurized gondola, the McDonnell Douglas DC-X single stage rocket structure, the VisionAire Vantage business jet, the Raptor and Raptor D-2 high altitude RPVs for BMDO, a 40-meter wind generator for Zond,. three NASA X-38 crew return vehicles, the Williams, International V-Jet II, the high-altitude Proteus aircraft, the Adam Model 309 business aircraft, and the Rotary Rocket Roton atmospheric test vehicle. 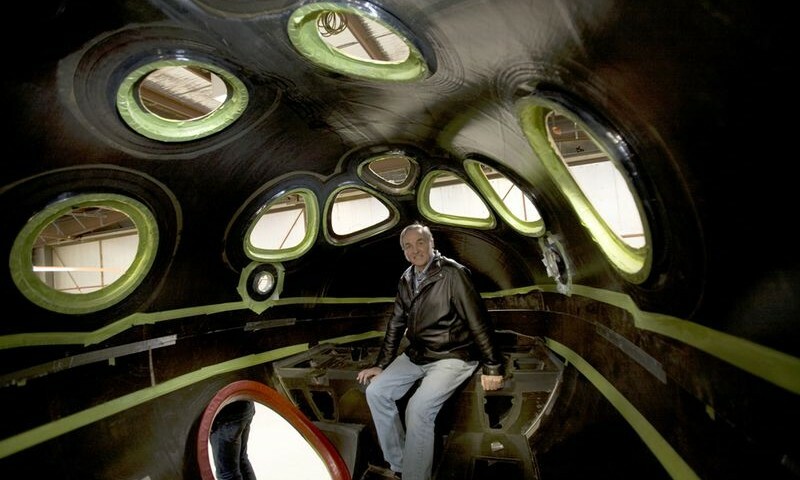 In 2008 Rutan was named Chief Technology Officer and Chairman Emeritus of Scaled Composites in a move that would allow him to focus on the company’s creative and entrepreneurial strengths. Recent projects include the White Knight and Space Ship One, the world’s first privately funded spacecraft. He made international headlines on 21 June 2004, when with Mike Melvill at the controls, SS1 flew history’s-first private manned space flight. On 4 Oct 2004, SS1 won the $10M Ansari X-prize (two flights within 5 days flown by Melvill and Brian Binnie). The Virgin Atlantic GlobalFlyer designed and built at Scaled made its maiden flight in March 2004 and a record setting solo world flight in March 2005. The Spaceship Company, jointly owned by Virgin and Scaled Composites, has been developing Space Ship Two for the past several years. The project, based on technology developed for Space Ship One, is a suborbital spaceplane designed to carry passengers and will be launched in 2009. Retiring from Scaled Composites as Chief Technical Officer in April 2011, he now assumes the title of founder and Chairman Emeritus. 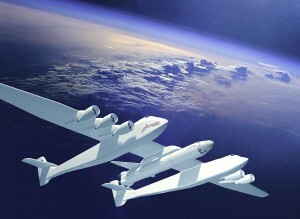 Rutan is currently working with Microsoft co-founder Paul Allen on a new project, the Stratolaunch – part airplane, part spaceship – scheduled to fly by 2016. 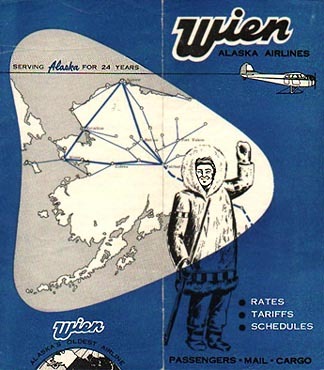 EAA Outstanding New Design, 1975, 1976 and 1978. • Presidential Citizen’s Medal presented by Ronald Reagan, December 29, 1986. • Grand Medal of the Aero Club of France, January 29, 1987. • National Medal of the Aero Club of France, January 29, 1987. • Society of Experimental Test Pilots, 1987 J.J. Doolittle Award and 2004 J.J. Doolittle Award. • Royal Aeronautical Society, British Gold Medal for Aeronautics, December 1987. • Design News Engineer of the Year for 1988. • Western Reserve Aviation Hall of Fame, Meritorious Service Award, 2 September 1988. • Member, National Academy of Engineering, 1989. • 1987 Robert J. Collier Trophy for ingenious design and development of the Voyager 15 May 1987 and again on 19 April 2005 for Space Ship One. • National Aviation Hall of Fame Honoree, 21 July 1995. Now, let’s look at how Burt Rutan challenges the establishment beginning with his joint venture with Richard Branson. As of late 2012, Virgin plans to operate its flights out of the Spaceport America complex in New Mexico, but it has also signed an agreement to develop a spaceport in Abu Dhabi. The company has more than 530 customers who have made deposits for space flights and flights may begin late in 2014. A quick video now, to give you a break from the text, and let’s hear how Richard Branson, and others, describe the possibilities. The X-Prize was intended to award $10 million to the first non-government organization that flew people into space, using a reusable spacecraft, twice in a two-week span. Scaled Composites safely made it to space – twice – in September and October 2004 using Space Ship One and won the X-Prize. In July 2005, Branson and Rutan announced a joint venture between Virgin Galactic and Scaled Composites to get space flights going. The Space Ship Company would manufacture Space Ship Two, a new generation of spacecraft that built on Space Ship One’s technology, as well as a launching aircraft called White Knight Two. With a spacecraft in hand, the next step was finding a launching area. In December 2005, the state of New Mexico officially offered Virgin Galactic a taxpayer-funded $225 million facility, Space Port America, where the company could put its world headquarters and send flights into space. Construction and development occupied Virgin’s attention in the coming years. A fatal explosion at Scaled Composites occurred in July 2007 during a routine test, delaying development of the rocket engine as the company searched for the cause. The next major flight milestone came in July 2008, when the company showed off the first White Knight Two air launch vehicle. While testing continues on Space Ship Two, Virgin Galactic has been working to diversify the business. In July 2012, Branson announced the company would offer commercial satellite launches beginning in 2016. He also announced the development of Launcher One, an expendable liquid-fuelled rocket. “It will unlock new technologies and will help fast-track the potential of space as a positive force for powerful change,” Branson said during the unveiling. At the same time, the company said it is “poised” to begin powered rocket tests on Space Ship Two. The Federal Aviation Administration granted approval in early 2012 for these tests to go forward. However, Virgin Galactic may face a fight with the FAA for another business idea, which is to offer zero-gravity parabola flights on Earth. Although Rutan is no longer as active at Scaled, he’s still involved in space exploration in other ventures. He recently joined the board of Stratolaunch Systems, an air-to-orbit launch system that is slated to have its first test flight in 2017. Scaled is involved in the project as well, as it is building a 490,000 pound (222,000 kg) “mothership” airplane able to fly up to about 1,500 miles (2,400 km) before releasing the rocket. But the system may undergo some changes amid a shakeup in late 2012. Space X announced it would pull out, and Orbital Sciences Corp. is now going to step in to try to keep the project on track. “We have been engaging Orbital over the past few months and have them under a study contract through early next year with specific design deliverables,” Stratolaunch chief executive Gary Wentz wrote in a November 2012 e-mail to SPACE.com partner Space News. The car, also a Scaled project, was unveiled to seek interest from potential customers. Company officials cautioned it was best not to get excited yet, but if it does come true, Rutan could be the architect of the long-held dream of flying cars. The car, also a Scaled project, was unveiled to seek interest from potential customers. Company officials cautioned it was best not to get excited yet, but if it does come true, Rutan could be the architect of the long-held dream of flying cars. What is the Stratolaunch System? Taking a flight into space without mortgaging the house may seem a long way off, but it just got a step closer to reality with the groundbreaking of the Stratolaunch Systems production facility and hangar at Mojave Air and Space Port in California. Microsoft co-founder Paul Allen’s company could one day compete with Richard Branson’s Virgin Galactic, driving down the price tag for commercial human spaceflight. The first phase of production has also just begun on the aircraft that will serve as the delivery system for Allen’s spaceship: a 1.2-million-pound behemoth with a wingspan larger than a football field. Allen has teamed up with Scaled Composites owner Burt Rutan to develop the mothership, an updated version of Rutan’s WhiteKnightOne and WhiteKnightTwo designs. The aircraft will be capable of carrying a SpaceX-designed rocket ship up to 1,300 nautical miles to the launch point, where the rocket would detach and blast into the stratosphere. But this time out Rutan is going really big: The Stratolaunch aircraft would be the largest plane ever built, with a 380-foot wingspan—60 feet longer than Howard Hughes’ “Spruce Goose”—and six Boeing 747 engines. In February the first of two 747s arrived at Mojave to begin disassembly of its engines, landing gear and hydraulics for use in the new plane. “By the end of this decade,” says Allen, “Stratolaunch will be putting spacecraft into orbit,” helping restore America’s leadership role in space. Flight-testing is scheduled to begin in 2015, and the first rocket should be launched in 2016. To finish up this lengthy article I have one more video, featuring Burt Rutan, that talks about why the future of space exploration is not in the hands of NASA but in the hands of people like you, your children, and your grandchildren. Have a good weekend, keep friends and family close, and don’t allow the chains of Corporate America derail your dreams. Follow your passion – Life is short.